Being a mom, I’m not real sure what the fascination is between boys and bugs. I like to look at lady bugs and I love watching butterflies flitter across my garden and I always get excited if I get to see a praying mantis, but bugs are bugs, and even then they are creepy crawlies. My boys, especially Caedmon, see bugs as awesome fascinations (they view rocks the same way…but that’s another post entirely). Caedmon has recently discovered beetles. Where we live we have pretty boring (and thankfully small) beetles. Just plain black beetles that crawl on the ground and don’t do much. In his eyes though, the world stops when a beetle is spotted. He will crouch down and reach out and try and touch the beetle, and then giggle and giggle as the beetle crawls away. This will go on for awhile until his attempts at touching the beetle result in him smashing the beetle (sorry bug lovers of the world, he’s 18 months, not much I can do). Since he’s young, he hasn’t figured out his own strength or the fact that the beetle is dead, but instead that it is no longer crawling away so he can now pick it up and carry it with him where ever he goes. Which is totally what makes me excited. Inevitably in his pure glee from carrying the beetle he flings it somewhere into the grass. 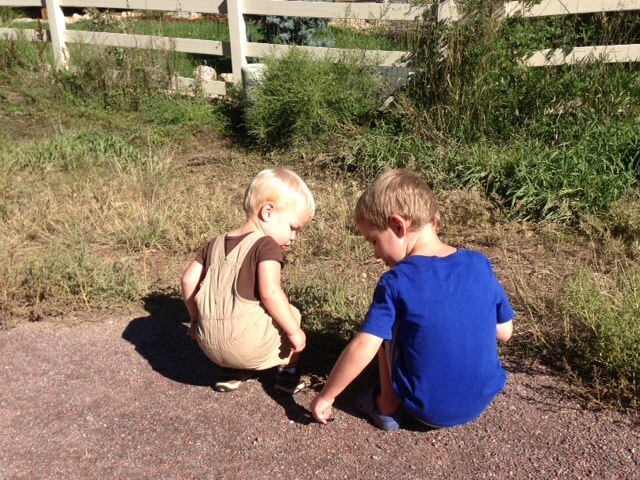 Luckily this is where a big brother comes in handy as they both sit on the side of the trail looking for the dead beetle. Worms are almost as exciting. With the floods recently we found many worms attempting to get some dry air. Unfortunately they were discovered by a certain 18 month old boy. He claimed the worms as his own. After “rescuing” many worms from the path we found a nice dry, safe place for the worms to stay. It had even been approved by the 4 year older brother as a good new home for the worms. 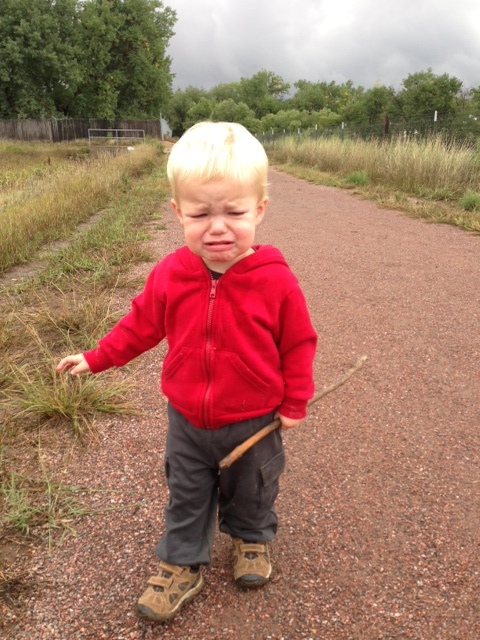 Caedmon however had different feelings about leaving the worms in their new safe home. And so we ended up carrying the worms home. 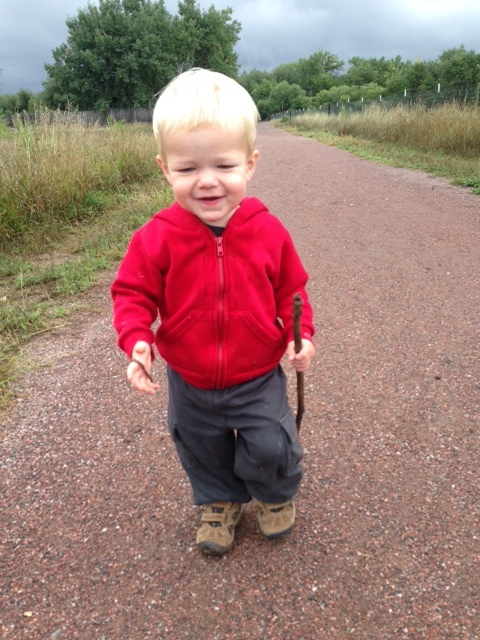 Caedmon approved that plan, especially when he got to carry one of the worms. So now I have a number of worms that were displaced by the floods now residing in my garden. I’m glad that we could be so accommodating and I hope they like their new home. This mommy is just really hoping my boys don’t decide that spiders also need new homes….